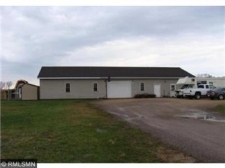 Although Wisconsin is often thought of as consisting of mostly farmland, there are many Wisconsin commercial real estate listings in the cities. Many of the commercial realty can be found in Milwaukee. According to the 2010 Census, Wisconsin has 5,686,986 residents. About 1/3 of the entire state's population is in the Greater Milwaukee area. Other cities in Wisconsin with ample investment property and commercial real estate listings include Madison, Green Bay, Kenosha, Racine and Appleton. The gross state product in 2010 was $248.3 billion. The state's economy is based largely on manufacturing, healthcare and agriculture. Wisconsin is well known for its cheese production and industrial space and rural commercial land are both dedicated to its production. Other important crops include corn, cranberries and ginseng. Some of the largest food brands have their office space and industrial space in Wisconsin, including Oscar Meyer, Tombstone and Kraft. Commercial building located at 338 Main Street in Black River Falls. City of Milwaukee REO Tax Foreclosure Duplex sold 'as-is'. City of Milwaukee REO Tax Foreclosure Duplex sold 'as-is'. THIS IS FOR 3014A home&lot only. Well established business in a premium location. Supper Club in Hatfield is looking for a new owner. Dreaming of opening your own business and just need the right location? Perfect opportunity to establish your business in downtown La Crosse. Be your own boss with this 50+ year old family owned bar & restaurant. St Francis! Brick 2/1 Duplex with 2.5 car garage. These well established and turn key businesses are now available to new owners! We are pleased to offer this well established and turn key business to new owners!